Build with the Best Home Builders in Shreveport/Bossier LA and Little Rock AR! 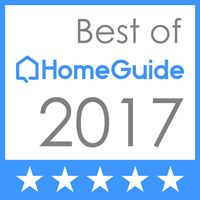 More than 250 of your neighbors have discovered what makes Martin Signature Homes the most trusted and respected home builder in Shreveport/Bossier LA and Little Rock AR. They are each living their dream in a fully customized, expertly crafted and beautifully finished home that started in their imagination before being brought to life by the experienced professionals at Martin Signature Homes. Picture a home that is spacious and elegant, yet still cozy. With every modern convenience built in to save you time and make your life simpler. Now see that home beautifully arranged, finished with the highest attention to craftsmanship and detail, and laid out to match the ebb and flow of your daily life. That’s your new home from Martin Signature Homes. The sky is the limit when it comes to designing and building your new home. Our talented architectural and design team work closely with you to identify the ideal layout, function and aesthetics desired. Then we create a design that turns your hopes and desires into a practical solution. Once approved, the design flows smoothly and effortlessly into the construction of your new home. Martin Signature Homes is more than just the leading custom home builder in Little Rock AR and home contractor in Louisiana. We offer complete “start to finish” services that incorporate design, project management, construction, finishing, landscaping – all the elements of a successful project, all managed under a single source of responsibility. There’s no time like now to discover how Martin Signature Homes can turn the home of your dreams into a beautifully crafted reality. Contact us today by completing our convenient online request form and we’ll schedule a free initial consultation to discuss your vision for your new home.